So you guys are here to read on how to get the most amount of money in runescape in the shortest amount of time. It wont be a cake walk but with a bit of time and experience you can finally get your first bond. That bond will be the key for you to get a free 14 day membership with all of its benefits. This is dedicated for players who don't want to raise their mining level up to 85 to mine runite or get level 85 smithing to superheat runite bars. Yes these two options are the best ones to make money in the end but many will find themselves feel unmotivated to grind so many hours until finally they can start feeling the profit. Mining rune is a drag because many free to play worlds is crowded with players thinking the same thing. The Less rune you mine the less profit there is in the end. Which is the same for collecting the wine of zamorak. Also, smithing is a very tedious process which most often results in you needing to spend loads of hard earn time to reach a high level or spend loads of money to shed off some hours of that long tedious smithing exp. Yes you read it right, this level chicken which can be found on the images below (farmers den), gives the best amount of money per drop. They can drop feathers in quantity of 5-15 which is worth 220-660 gold in the current Grand exchange price. In one hour of fighting with my combat level I earned approximately 1500-2000 feathers without having to run to the bank or eat food. At higher combat levels like 45 magic, ranged, melee you get a multi target move that makes killing chickens so much faster. But it isn't just selling the feathers, it's about fletching them into headless arrows. Just buy the arrow shafts because it is a waste of time woodcutting then making it to arrow shafts. Buying it is much quicker cause the time you spent on the process is less gold earned than killing more chickens. After doing this a couple times you now have at least a good amount of gold in your inventory. Now buy feathers and arrow shafts over night as there is a buy limit of 10K feathers within 4 hours and 20K arrow shafts in 4 hours. Warning always try and buy feathers at the lowest price (GE price is just a baseline guide). The trick is to sell 1 feather for the lowest price possible and at lease see how much it goes for. If it is a suitable price (below GE) then buy a whole lot. If it is GE price, then at least put 1~3 gold less than what it goes for. Depending on how fast you want it depends on the price you put. Now when you sell the headless arrows, buy 1 headless arrow at max price. This will tell you how much you can sell it for. 1 Gold makes a difference because think about it, at 10, 000 arrows that is 10k more profit you earn, 5 gold is 50k and so forth. Don't quick sell and take your time with the profits. You can also buy feathers from the fishing place in Lumbridge and port sarim. They are identified by the fishing hook. Each feather is 6 gold each at a max cap of 1000. It refills slowly every minute and re-caps at 1k in 24 hours. Check back everyday for some quick feathers. Why kill chickens? Yes you can skip the killing chickens and just spend a day of fletching, but it gives players something to do while they wait for another wave of 10 thousand feathers and arrow shafts. Also why not have some combat exp because once your a member, slaying earns the most money. Once you get enough gold buy the bond in GE and activate it at your leisure. I haven't seen the bond drop in price yet so either buy now or it's going to rise. 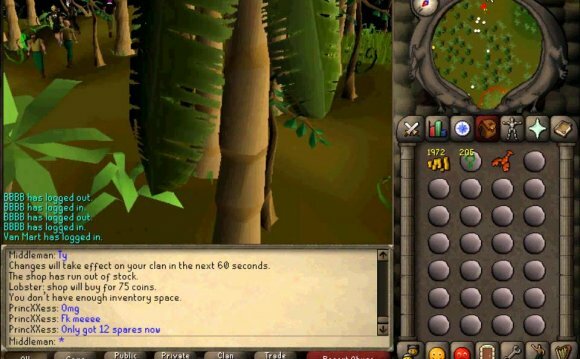 Runescape Best Money making guide!